Truckers have converged on the Harbour Bridge for a rally. 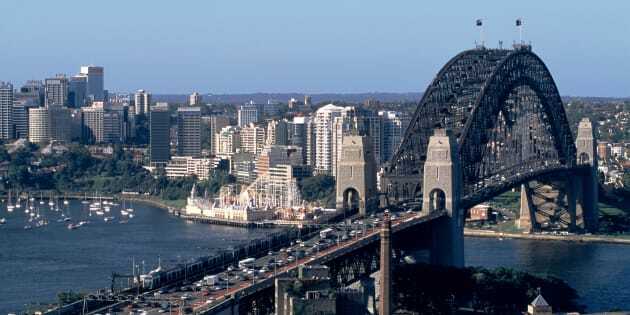 A convoy of trucks has made its way across the Sydney Harbour Bridge as part of a national day of action to restore minimum pay rates in the industry. A base pay rate for truckers was scrapped earlier this year when the federal government canned the wage-setting Road Safety Remuneration Tribunal (RSRT). Transport Workers' Union (TWU) NSW secretary Richard Olsen told SBS that the convoy, across the iconic bridge was part of a bigger effort to reinstate "safe rates". He told the broadcaster that floor rates meant it was less likely that trucker would take potentially fatal road risks such as speeding and driving long hours. More than 2500 lives were lost in truck-related smashes in the past 10 years. "There's got to be a mechanism which is not available at present under Fair Work that can deal with these matters," Olsen told SBS. "A lot of good work can be done by a commission and by the government and industry and unions coming together."